Chef Max, originally from Hong Kong, speaks fluent Cantonese, Mandarin and English, has over 25 years in culinary and teaching experience. 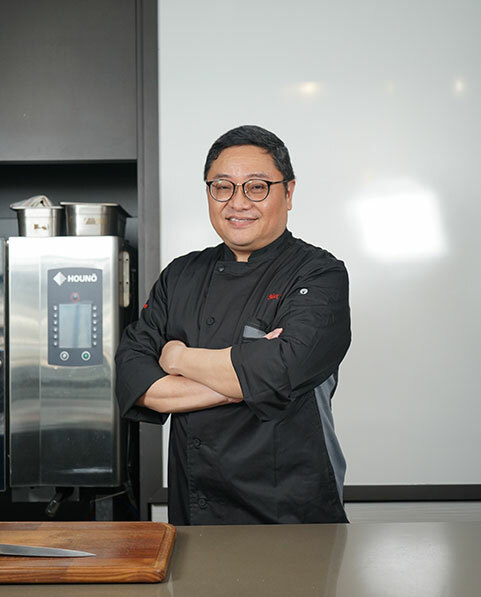 Max is a Product Technical Advisor for Miele Hong Kong and also a well-known recipes writer, food stylist and Specialist in cooking appliances & seasonings. He also acts an advisor for varies brand name in food products promotion. Max’s passion in food also brings him to appear in varies local Chinese Food TV channels such as TVB Jade, RTHK, ATV, and local Radio Program since 2004! He also act as Cookbook & Recipe Writer for varies local magazines and newspapers such as 3 Weekly, Metro Daily, M for Mother Bimonthly, Express Weekly, Lisa Taste Magazine.